Hands-On Volunteer Projects: Our free, online calendar offers up to 200 group volunteer projects every month. Meet our city’s most pressing needs, learn about a new non-profit and neighborhood, meet new people, and find new ways to engage in your community. Sign up to volunteer today! Skills-Based Volunteer Projects: Leverage your unique skills to benefit your community and meet the strategic needs of Chicago non-profits. Use your expertise for good on independent projects ranging from marketing to management to finance. Projects require approximately 10 hours of service or less. Search available opportunities here. 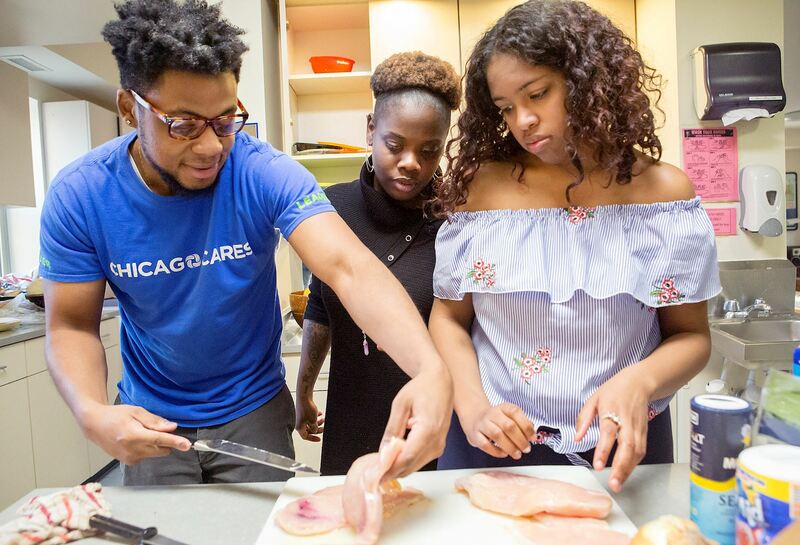 Volunteer Leadership Opportunities: Make a regular commitment at your favorite Chicago Cares project and build essential leadership skills through our unique series of leadership trainings. For more information, contact info@chicagocares.org. 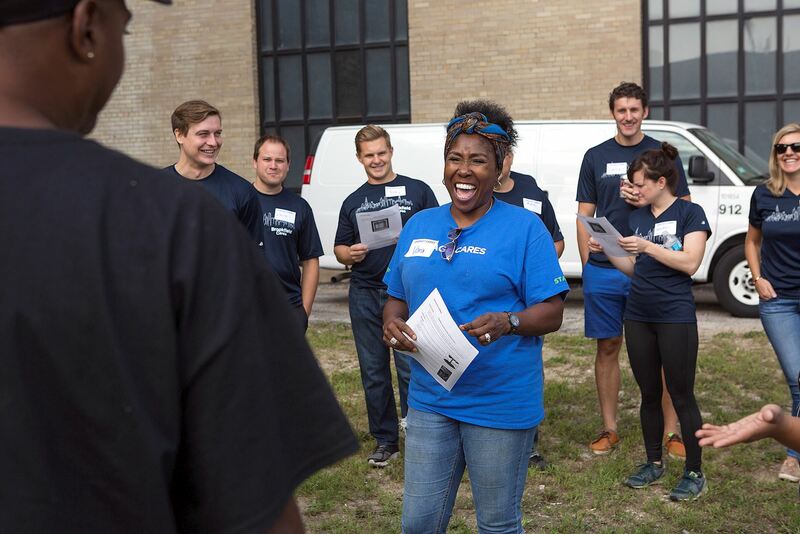 Volunteer with Your Company: Chicago Cares builds customized corporate volunteer projects that help companies engage employees in service and make a meaningful impact in the community. For more information, contact development@chicagocares.org.